On the 10th anniversary of the film's release, producer Chhabria shared his thoughts on the possibility of a sequel. Ten years ago Shivaji came alive on cinema screens once again in director Santosh Manjrekar’s Marathi movie Mee Shivajiraje Bhosale Boltoy! (2009). The roar of the 17th century warrior king and Maratha unifier inside cinema halls was met with the thunderous applause of fans and box-office success. 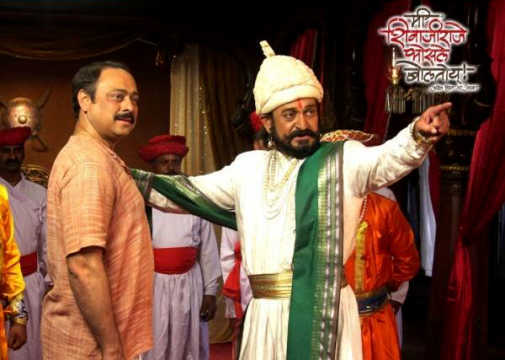 The film told the story of Dinkar Bhosale (Sachin Khedekar), a common office-goer who is ashamed of being a Marathi speaker in Mumbai, until Shivaji (Mahesh Manjrekar) is reincarnated to enlighten him about the glory of the Marathas and to motivate him to be a leader of Maharashtra. Mee Shivajiraje Bhosale Boltoy! became an instant winner and ran for several weeks in cinema halls to collect Rs25.5 crore nett at the box office, which was quite a feat for a Marathi film 10 years ago. On the tenth anniversary of the film's release today, producer Sanjay Chhabria, head honcho of Everest Entertainment, spoke exclusively about the film with Cinestaan.com. Chhabria said the film is special for him not just because it did good business at the box office but "also because it established our company Everest as a production house. So, it has a very special place. I will always be eternally thankful to Mahesh sir for doing this venture with us jointly”. Me Shivajiraje Bhosale Boltoy! also starred Suchitra Bandekar as Dinkar Bhosale's wife while Priya Bapat and Abhijit Kelkar played their children. Apart from urging people to be proud of their heritage, the film also encouraged local people to build businesses. “The film speaks about entrepreneurship, about how you have to work hard and your faith and destiny lie in your own hands, instead of blaming somebody else or the system,” said Chhabria. The dialogues were written by Sanjay Pawar. He has also written dialogues for Viruddh (2005), Dombivli Fast (2005), Mee Sindhutai Sapkal (2010). 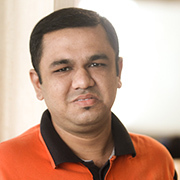 Siddharth Jadhav was seen in the role of a small-time gangster, Usman Parker, who is initially against Dinkar Bhosale but eventually becomes a friend.